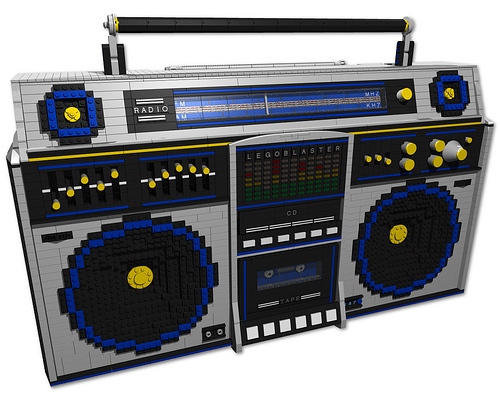 Flickr user cosmicxanadu takes us back to the block rockin’ 1980’s with the LEGOBLASTER! Features include: radio, cassette recorder, CD player, and graphic equalizer. The LEGOBLASTER! also has its own LDraw page with a breakdown of all 6631 parts and isolated shots of the working functions.